Hello friends~ Birgit here with you today. I die cut a white card stock panel using Impression Obsession Small Flourish Background and applied it to a double sided adhesive panel. Once it was pressed into place I rubbed Elizabeth Craft Silk Microfine Glitter in Warm Diamond into the negative spaces. 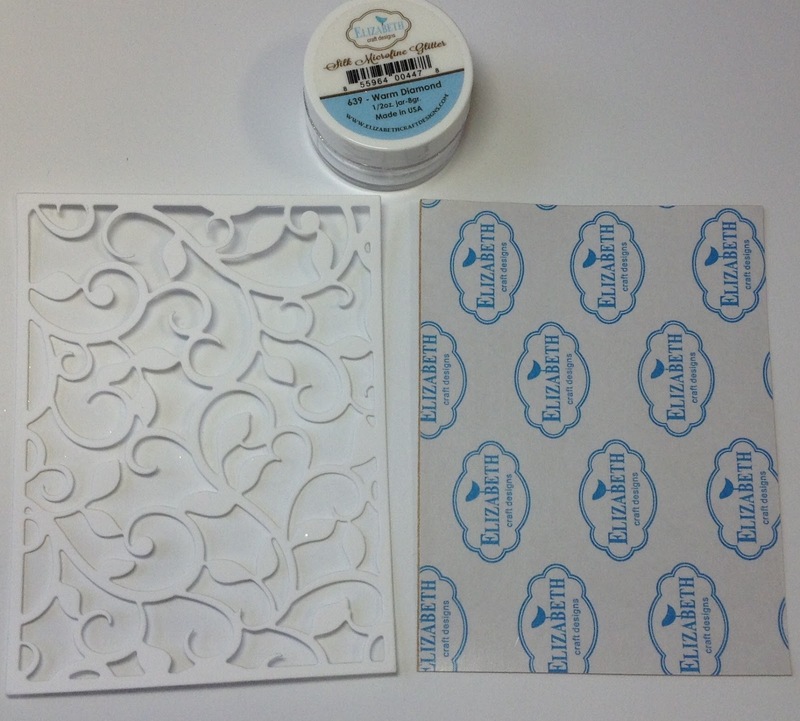 I then adhered the die cut panel onto a white base cut the same size as the panel and added it to the card front. Just look at this pretty background! This technique could be used for any type of card. 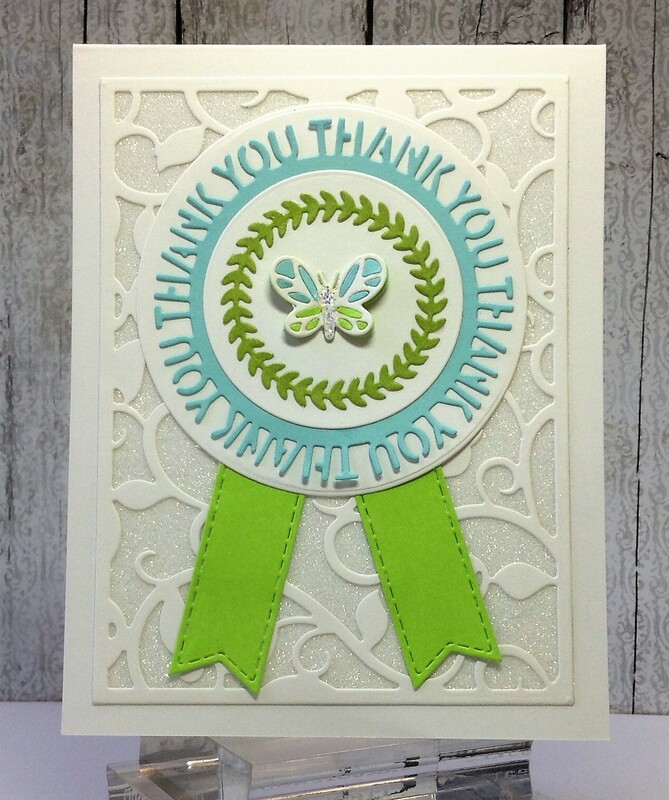 This Sue Wilson Thank You Circle is so fun to work with. This die set has all the pieces needed to make a fun layered sentiment. There's also a Birthday Circle!! I cut each of the elements out in light blues and greens and the circles in white. It made a pretty soft colored medallion. 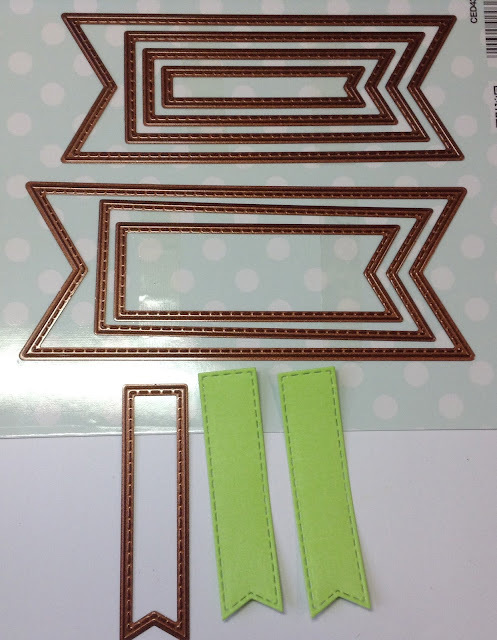 Every medallion needs fishtail tags to I paired the circle die up with Sue Wilson Stitched Flags. Just look at all the sizes you get in this set! I cut two out of light green card stock and added them to the medallion. 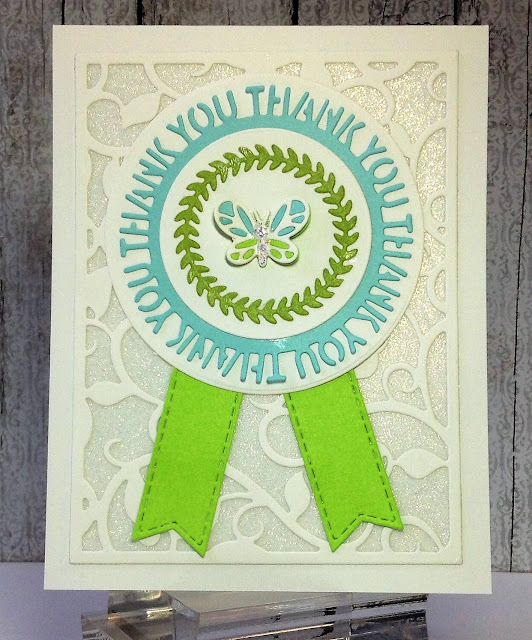 A gorgeous thank you card Birgit! The die cut panel beautifully glittered is a fabulous frame for the medallion. I love the colours you have chosen too. Thank you for your inspiration! When I first saw this card, my eye was immediately attracted to the blue and green medallion you've made, but when taking a closer look, I realized you had glittered the background with that lovely IO die. Great combination of dies and colors. Perfect colors! I love that glitter, I don't even know about that! 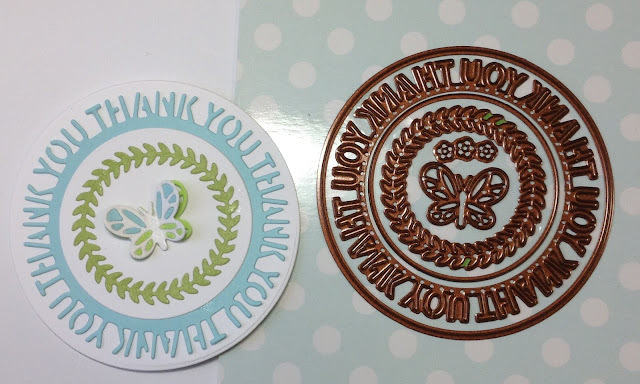 Those circle dies are fabulous too, I like how they include everything you need to create this beauty! FAB card, Birgit, love it! 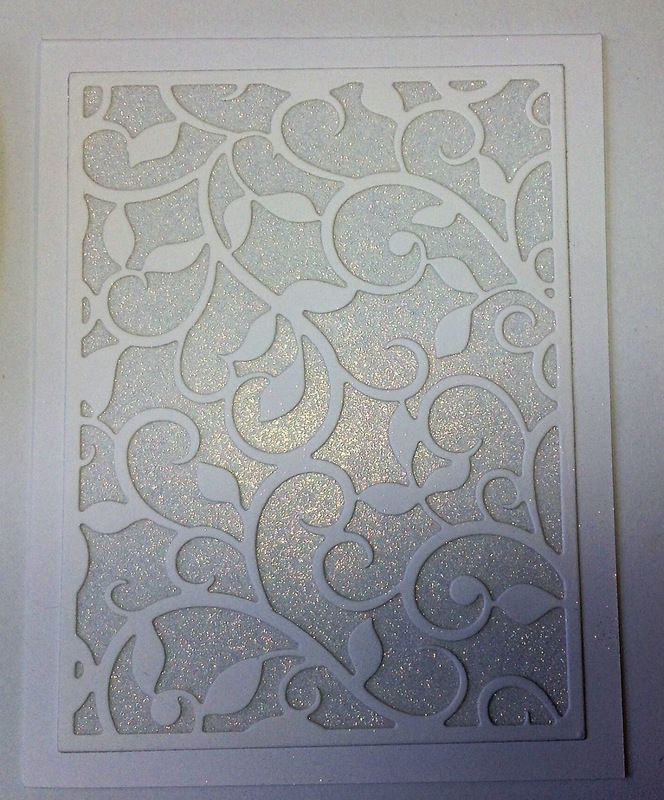 lovely card, the glitter sparkles so beautifully! 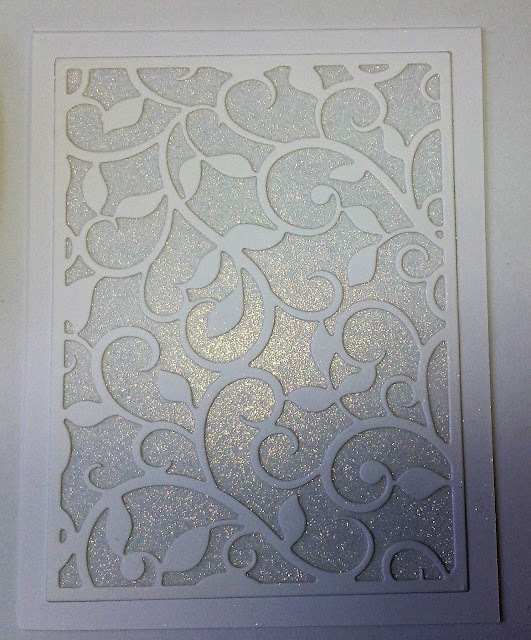 I am pleased to say that I am the lucky owner of the Beautiful card, and it is even more lovely in person!!! I have it sitting here on my desk ever since I received it, absolutely Beautiful job on this creation!! I love all the sparkle! !